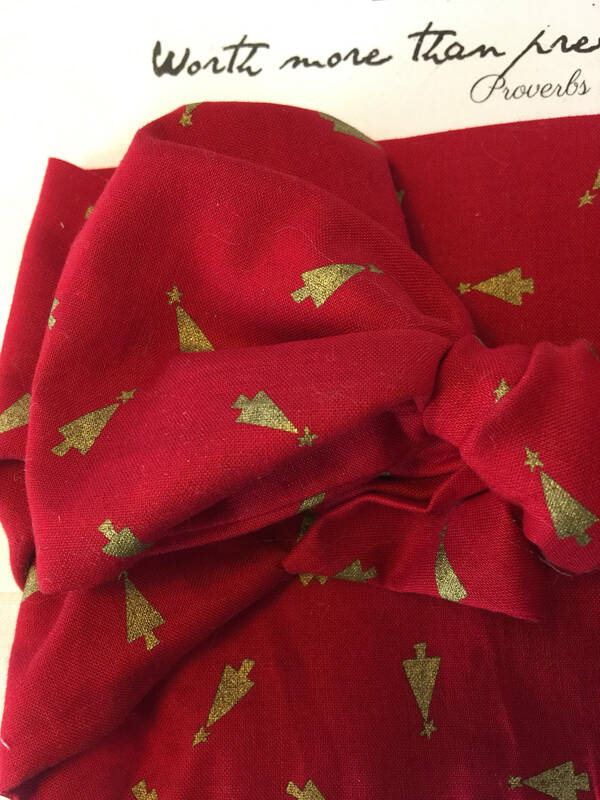 This Christmas fabric is so cute and will absolutely be gorgeous on your baby during the Holiday months. 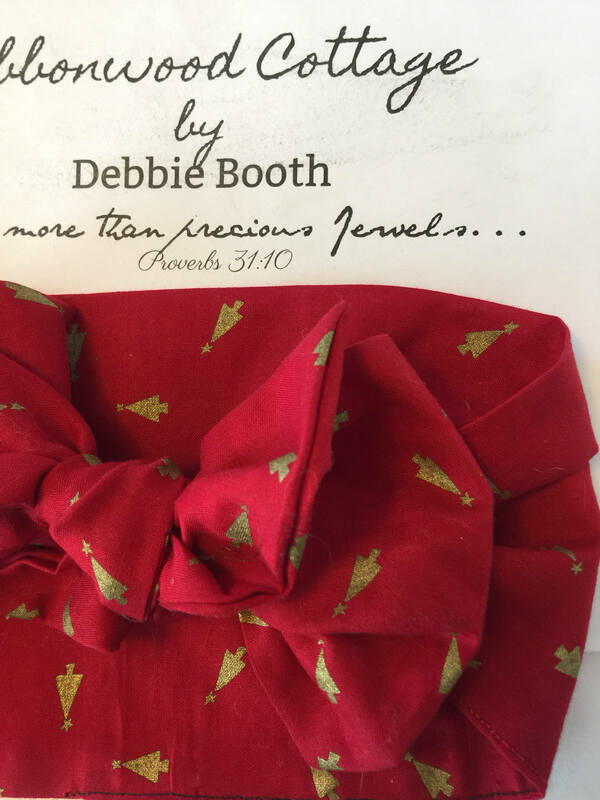 Imagine a little Christmas outfit, or black leggings and a sweater with boots and this headband ... oh my gosh it will be so sweet and festive. 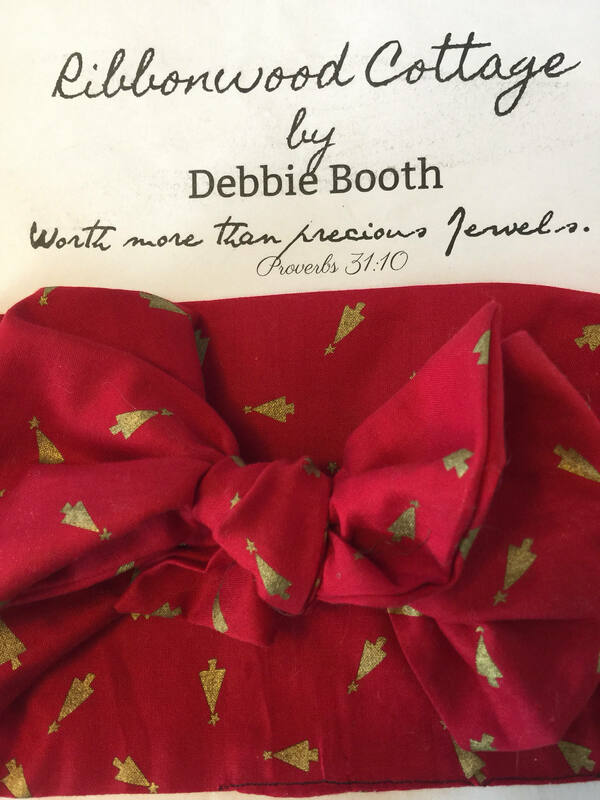 Made from red with little gold metallic Christmas trees - cotton. It measures approximately 4" wide and 43"-44" long. 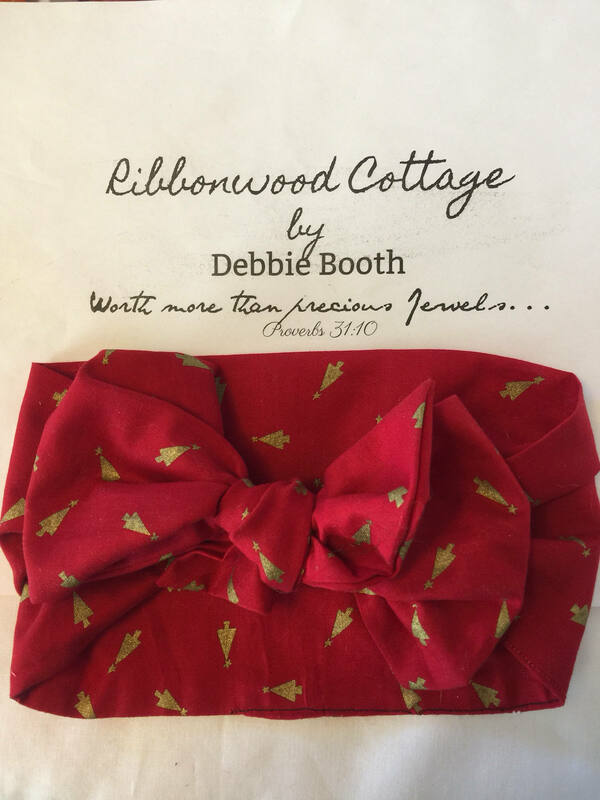 Made to wear on a babies head but could easily be adapted for a toddler or older girl. The larger the head the smaller the bow will be. All head wraps and headbands are made by me and designed by me. Wait till you see the rest of my winter line and wedding line I'm getting ready to come out with. Little ones are so precious and it is wonderful to dress them in something adorable, take a picture, and remember the special day by and how cute they looked. This head wrap is made from non stretchy fabric. I believe in making your baby's day Lovely and Delightful! 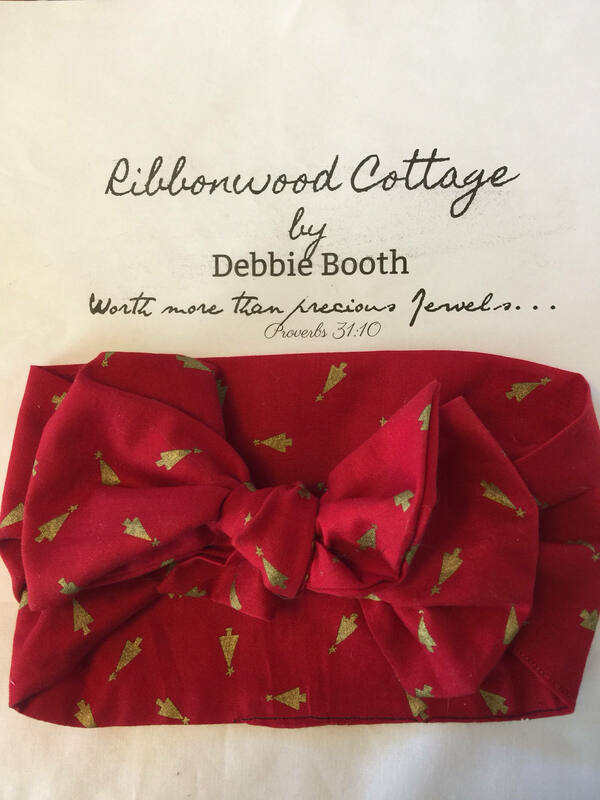 Be sure to sign up for my newsletter here @ Ribbonwoodcottage.com to receive additional coupons and sales announcements!